If your business is growing, we know exactly how to bring your production line up to speed to help you get the most out of every minute. If you’d like to accurately dispense 100 million labels before any major maintenance is required, we can offer just that! In fact we can meet most requirements, as we work with you and build every machine right here, in Yorkshire, to your brief. So get in touch today and join the number of businesses who have relied on us to help them grow over the years. Karmelle specialises in the supply of self-adhesive labelling systems. 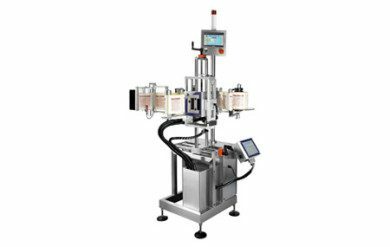 The equipment ranges from a simple entry level flash labeller; all the way through to main frame labelling systems installed on turnkey filling, capping and labelling lines. 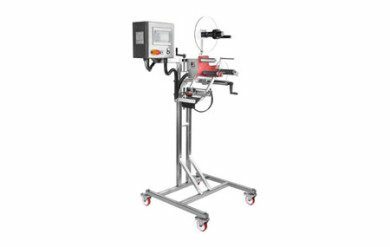 Our full range of labelling equipment is designed and built in the UK by our dedicated team of engineers. 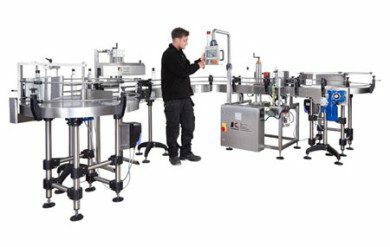 We are particularly proud of our ability to design bespoke labelling machines for our customers’ individual requirements. 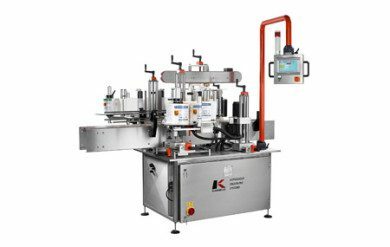 Karmelle is a British manufacturer of bespoke liquid filling machines, capping machines and labellers. We supply equipment to the food and drink, pharmaceutical, cosmetic, chemical and lube oil industries. 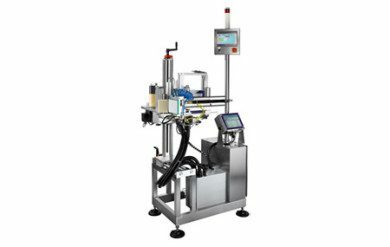 However, the versatility of our custom-built, turnkey filling systems means that they can be adjusted to meet the needs of other sectors, too. Our workshop in Yorkshire is home to our quality liquid packaging machinery, as well as our friendly and experienced team. They pride themselves on delivering a personal service, both to our clients in the UK, and those around the world. We believe that, with cutting-edge technology, skilled engineers, and over 30 years of experience in the industry, we are well-qualified to provide bespoke liquid packaging solutions for your company. Why not call us today for a friendly consultation? PPMA registered member since 2006.